The CBS press department gives its take on the preliminary ratings for last night’s episodes of NCIS, NCIS: Los Angeles, and The Good Wife. CBS was Tuesday’s #1 network in viewers, adults 18-49 (tie) and adults 25-54, led by NCIS, the top program in viewers, according to Nielsen preliminary live plus same day ratings for Nov. 9. NCIS was first in households (11.9/19), viewers (19.77m), adults 25-54 (5.5/14) and second in adults 18-49 (3.9/11). NCIS was the night’s #1 program in viewers and adults 25-54. NCIS: LOS ANGELES was second in households (9.4/15), viewers (15.54m), adults 25-54 (4.7/11, -0.1 behind ABC) and adults 18-49 (3.3/09, -0.1 behind ABC). THE GOOD WIFE was first in households (8.0/14), viewers (12.22m), adults 25-54 (3.3/09) and adults 18-49 (2.2/07) for the sixth straight broadcast. 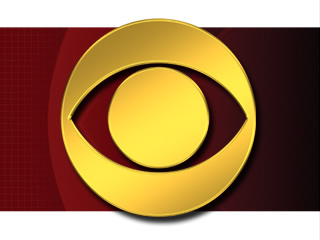 For the night, CBS was first in households (9.8/16), viewers (15.84m), adults 25-54 (4.5/11) and tied for first in adults 18-49 (3.2/09, with FOX).